It is common for people to complain against the police but this time it is the police which is cribbing against some civilians for allegedly not keeping a promise of cash reward announced for arresting three accused in an over seven-year-old multi-crore embezzlement case. A sarpanch of Nawapind village, his brother, nephew and a private gunman have been booked under Sections 307, 34 of the IPC and Arms Act at the Payal police station for allegedly assaulting a cable-operator and firing at him. While residents of various colonies, where the local civic body had laid sewerage a year ago, are crying foul for want of recarpeting of dug-up roads, residents of Prem Nagar today protested against the repair of roads in their area, claiming that these were in good condition. 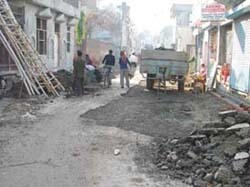 The situation in the jaundice-hit areas of Karamsar Colony and the New Subashnagar areas continues to be grim but officials maintain that it is under control after health officials set up camps in the areas. The statements and counter-statements by the government regarding the mode of admission to the ETT course has put thousands of aspirants in a tizzy. Deputy Commissioner Anurag Verma has asked SSP, Ludhiana, to register a case against Harjinder Singh, lambardar of Bhamaan Khurd village falling under Koom Kalan police station, and three others for allegedly trying to grab agricultural land by executing a false sale deed through impersonation. A resident of Jarg village has been booked for allegedly manhandling a Subdivisional Officer (SDO) posted at Rauni today. 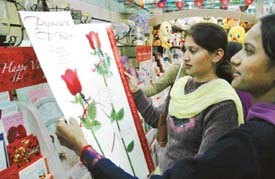 If the dominance of red and pink colours at shopping malls and showrooms is any indication, then the youngsters in the city have decided to express their emotions wearing these colours this Valentine’s Day. A majority of the youth believe that red and pink draw attention and symbolise love, romance and passion. And to cater to the romantic young hearts, the manufacturers have come up with a variety of outfits in red and pink for the Valentine’s Day. Mr Surinder Dawar Parliamentary Secretary, Punjab, has asserted that the state government was committed to developing the cities and Rs 500 crore are being spent on sewerage and other basic amenities. The trade and industrial cell of the BJP today rejected the appeal of the Finance Minister, Mr Surinder Singla, to withdraw the call for bandh on February 21 against the introduction of value added tax (VAT) system in the state. The frequent blowing of siren by motorcycle-borne personnel of the police control room has been causing nuisance in the residential areas here. Even sirens being used unauthorisedly by people in private vehicles remain unchecked in the city. 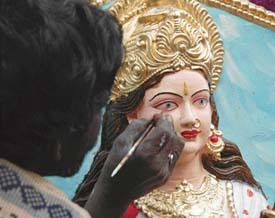 The police has expressed its helpless in the matter. The Amarinder Singh government is the worst. Every class of society is suffering due to bad policies of the present government, corruption is at its peak, poverty is growing with each passing day, prices of articles of daily use are increasing. The law and order situation in the state is deteriorating. The Income Tax Department had organised a camp to encourage people to file returns at local Dharamshala on Friday. Government pensioners have urged a raise in medical allowance, old- age allowance at the age of 80 and house rent allowance. In its pre-Budget memorandum to the Chief Minister today, the Pensioners Association has urged him to fulfil the demands as promised in the Congress manifesto during the last Assembly poll. Rotary International and Rotary Club of Ludhiana Midtown is all set to celebrate their centenary year in a big way on February 23 at Hotel Plaza with Nilam Ghar, cultural programmes and other entertaining activities. This was revealed by President Rtn. Ashok Sharma in the general body meeting of the club held at Hotel Plaza. Alert civilians and cops in mufti today caught two members of a member gang of thieves from near three banks in Millergunj where they were trying to steal a bag containing money from the glove compartment of a scooter. An attempt to kidnap two minor sisters was made by three persons near Sunder Nagar in Basti Jodhewal yesterday. The attempt was thwarted by the girls who raised the alarm and rushed back to their school. A drug addict committed suicide by allegedly hanging himself from a ceiling fan while his father slept nearby. ICICI Bank on Saturday organised an exhibition of pre-owned cars here. The two-day exhibition aims to serve as a platform for customers and dealers to showcase the complete range of used cars for sale and purchase. 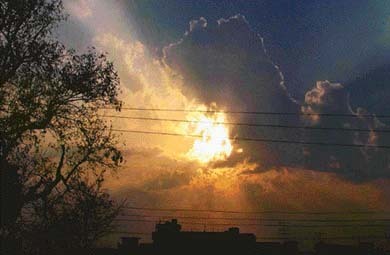 “Horticulture can play a significant role in diversification and it is the need of the hour to initiate a horticulture club at Punjab Agricultural University, Ludhiana, which can serve as a platform to meet the requirements of the Johal Committee report for changing the wheat-paddy rotation in the the state. Two functions were arranged at Kundan Vidya Mandir to bid farewell to the students of class X and class XII. A havan was performed for the good results of the students. 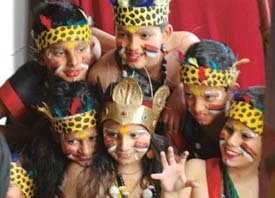 The students of class XI presented a western dance after a devotional song. Desh Bhagat Institute of Management and Computer Sciences alongwith Desh Bhagat Institute of Hotel Management and Catering Technology, Mandi Gobindgarh organised an intra-college four-day “Xclusive Expression-05” which included cultural, literary, technical, sports, fine arts and hotel management events. The State Consumer Disputes Redressal Commission has dismissed the appeal filed by the PSEB, holding that the demand raised by it alleging theft charges against a consumer was against the rules and rightly quashed by the Ludhiana's Consumer Forum. The kidnapping case of a college girl took a new turn today when the police produced three students of A.S. College Khanna before SDM Khanna Jaspal Mittal on the charges of Sections 107 and 51 of the IPC. The police said the parents were not willing to register an FIR so it had taken this step. The three-day international CME on surgical pathology and cytology organised by the Department of Pathology, Dayanand Medical College and Hospital, in collaboration with the Association of Indian Pathologists of North America, sponsored by the Indian College of Pathologists and Medical Council of India, concluded here today. Sanil Dewan, student of fifth class in Sacred Heart Convent School, Sarabha Nagar, romped home by defeating Surya Goyal of Kundan Vidya Mandir Senior Secondary School, Civil Lines, in the boy’s singles (u-10 years) match of the Ludhiana District Badminton Championship which began at the Shastri Hall near Guru Nanak Sports Complex here today. Sanil scored easy win in straight sets 15-4 and 15-5. 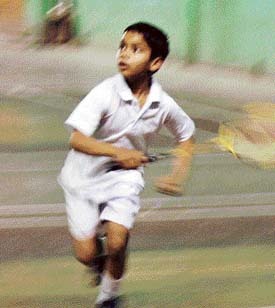 In another match (u-10 years), Parth Gupta trounced Guanjan Singh 15-4 and 15-4. Manpreet Kaur and Rajbeer Singh were named best athletes in the annual sports meet of Arya College here today. On the concluding day of the meet, Rajbeer Singh emerged winner in the 100 m race. He was closely followed by Adesh Pal Singh and Baljinder Singh.